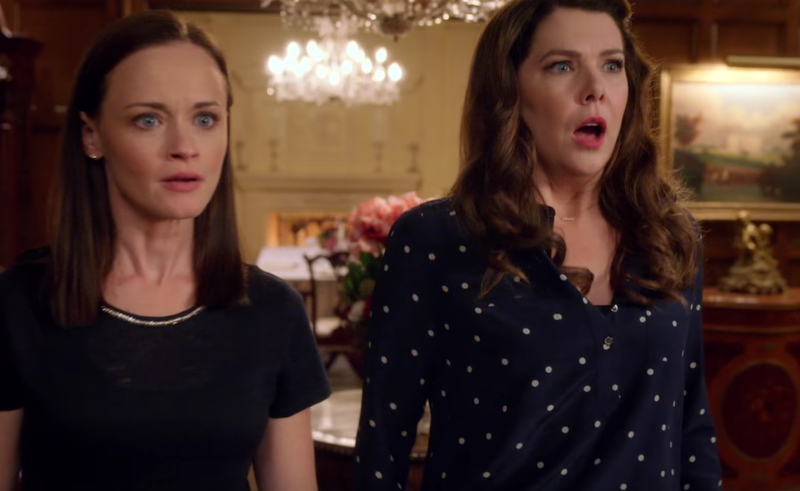 We know you’ve watched the new, full-length trailer for Gilmore Girls: A Year in the Life at least 10 times already, but we’re willing to bet you missed a tiny detail that will have you sobbing and reminiscing about old times in the same breath. 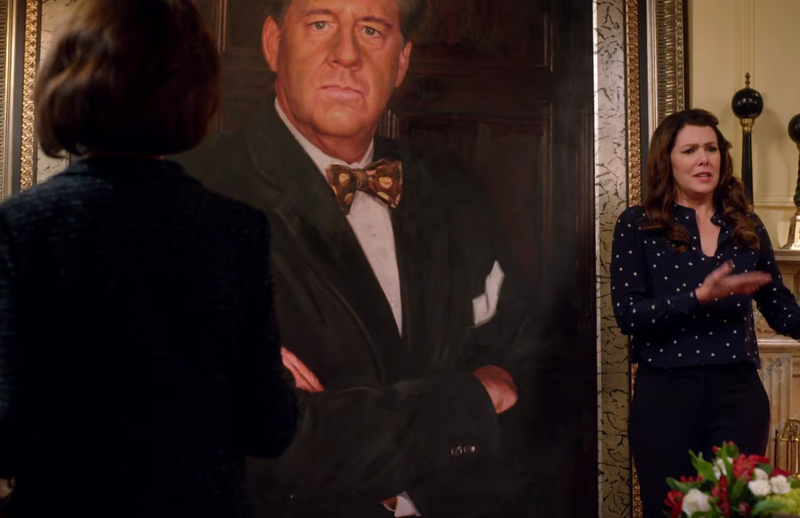 There’s a shot around 1:15 in the video where Rory and Lorelai look on as Emily Gilmore pays final tribute to her late husband, Richard, at his funeral. The tear-jerking detail is in the background of the shot: a still photo from Richard and Emily’s vow renewal ceremony from Season 5 of the original show. *Ahem* Excuse us while we attempt to compose ourselves. It seems from the trailer that Emily is doing everything she can to cope with the loss of her beloved husband, including taking a page from Marie Kondo’s book, The Life-Changing Magic of Tidying Up: The Japanese Art of Decluttering and Organizing. The tidy-up book — a runway success this year — urges readers to clear from their homes anything that doesn’t bring them joy, something we see Emily do in the short video as she rids her home of dining chairs and dresses that don’t make her feel joyful. If this video is any indication, the new GG revival is sure to have us all ~feeling our feelings~ and thinking warm thoughts about our families — just in time for the holidays. Can’t wait to watch with y’all on November 25th!